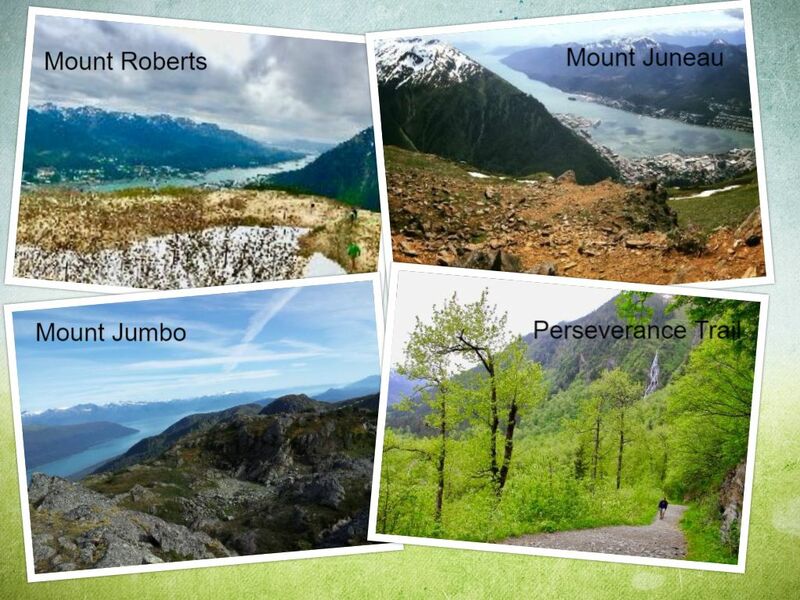 This will provide a basic guide to hiking around the Juneau area. Always eat a hearty meal before heading out for a strenuous hike. You will need to your energy throughout the hike. Bring a hiking buddy: depending on how much you want to get out of the hike in terms of an intense hike or more a casual walk bring a friend that matches your level. Always let someone who is not on the hike know where you will be hiking and what time you are estimated to be back. This way if something goes wrong on the hike there is someone that is expecting your return call or text. 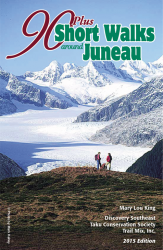 A great resource used by locals is the 90 Plus Short Walks of Juneau. This guide does a great job outlining the length, intensity, and history of several trails around Juneau. Know the area: if you are unsure of trail conditions throughout the year research. Depending on the time of year several trails might be too dangerous to attempt due to trail washouts, snow, and ice. There is a hike for all level abilities; know what you are capable of. Dress for the weather and also weather that could happen. Juneau is prone to having very fast weather change. 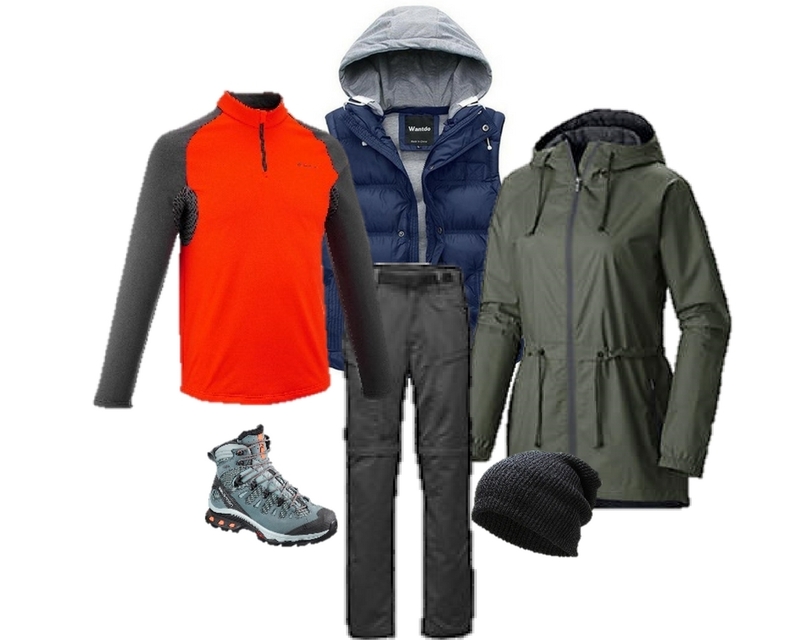 Below are examples of what to bring season and weather dependent. Know the area: that is why it is a good idea to have someone with you who has done the hike before or familiar with the trail. Please to not litter; this harms the environment and wildlife. Not to mention a plastic water bottle doesn’t enhance the natural beauty. Congrats you just hiked Alaska! Stayed tuned for our next How To! 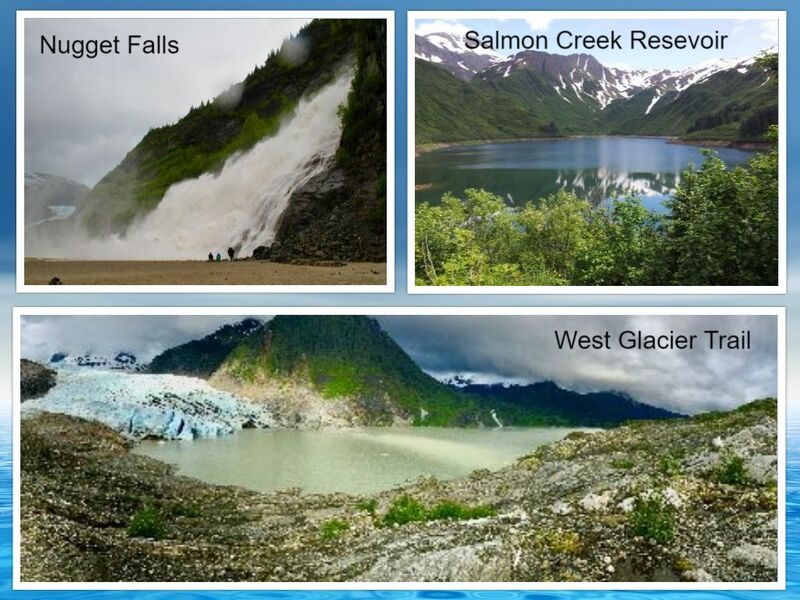 Above & Beyond Alaska, LLC is a local, employee-owned guiding company based in Juneau Alaska. We have been exploring the region from ocean to ice for over 25 years and guiding others since 2002. Our goal is to provide a complete Alaskan wilderness experience by sharing with clients our passion for the outdoors, technical know-how, and natural history knowledge. © 2017 Above & Beyond Alaska, LLC. Payment in full is required at the time of booking unless other arrangements have been made. We accept Visa, Mastercard, Discover, and American Express. Booking agents are issued an agent-specific discount code to be entered during the online booking process via our website. Please contact us to be issued your discount code and to receive instructions on how to utilize our online booking system. Those agents who have been pre-approved to be invoiced may pay by either check or direct deposit. Please contact us for further details. Any payment made with our company is fully refundable 15 days or more prior to trip date. If the reservation is cancelled between 14-8 days prior to trip date, 50% of total trip price becomes non-refundable. If the reservation is cancelled 7 days or less prior to trip date, 100% of total trip price becomes non-refundable. ABAK strongly recommends all clients carry travel insurance in order to safeguard against any unanticipated changes to travel plans. © 2017 Above & Beyond Alaska.